Seceuroglide offer one of the UK's most secure roller garage doors featuring our unique patented locking mechanism. The stunning range of SeceuroGlide roller garage doors transforms the appearance of your home whilst providing effortless protection and smooth operation. Developed and manufactured in the UK, SeceuroGlide garage doors have been designed to meet the demands and expectations of the modern family. With a focus on style, convenience, and high quality, SeceuroGlide addresses the need for excellent security and improved insulation, balanced with an attractive appearance and simple operation. Increase the kerb-appeal of your property with a bespoke roller shutter garage door that delivers a sleek, modern design. Your new door is available in a choice of 18 paint or wood-effect finishes with some models available in any RAL colour. You can also enjoy futuristic technology of SeceuroGlide Connect, which allows you to control your door with your smart phone. Alternatively, you can choose from eight stylish remote controls for your electric door as two are supplied as standard! With such a diverse range, we are confident that there is a SeceuroGlide suitable for almost any garage opening. Looking for exceptional security? The SeceuroGlide Excel is the first garage door tested to police and insurance standards. Low on headroom? Choose the SeceuroGlide Compact where just 205mm of headroom is required. We also have a manual roller garage door for when power isn’t available. With exceptional build, our high quality SeceuroGlide roller shutter garage doors are built to last. Our SeceuroDrive motor is covered by a staggering 7-year warranty, giving you peace of mind that you have chosen the right garage door for you. The SeceuroSense control system also benefits from the 7-year warranty when purchased alongside the SeceuroDrive motor. 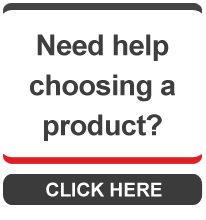 Not sure which of our SeceuroGlide garage doors are right for you? Whether you're looking for high-security, manual operation, or a door with a compact design, it can be confusing choosing the best one for your needs. Use the handy table below to compare the technical information of our SeceuroGlide range and optional accessories available with each model. For mobile view click here. With 5 specifications, the SeceuroGlide Roller is one of the most versatile options available in the UK market today.